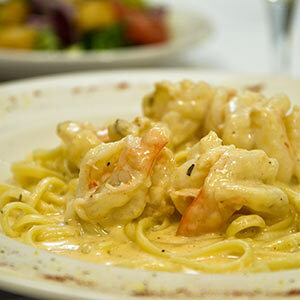 At Giannilli’s, our home-style Italian cooking and welcoming family atmosphere have been prepared just for you. From appetizing lunches and delicious dinners to scrumptious desserts, Giannilli’s awaits. Learn more on our Restaurant page. 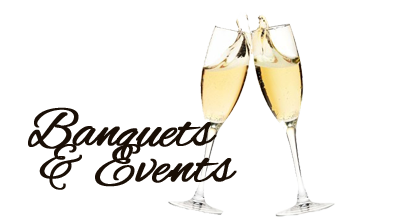 Bring your family and friends to Giannilli’s for that special occasion. We can seat up to 100 for parties, showers, rehearsal dinners, small weddings, and funeral dinners. Learn more on our Events page. We bring the best to your party location. At Giannilli’s, we offer a full catering service with experienced servers, supplies, and linens at your location of choice. 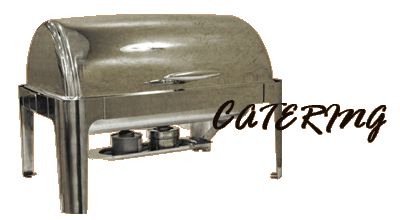 Learn more on our Catering page. Having a busy day? Your family will appreciate a take-out order from Giannilli’s. Pizza is a favorite, but our full take-out menu is available. We deliver too! Your family will love it when you call 724-853-6600 today! Authentic family recipes and home-style Italian cooking at affordable prices. 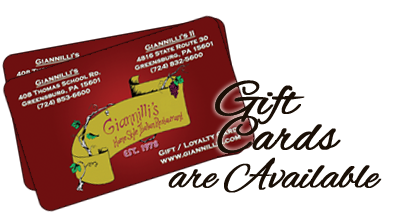 When you visit Giannilli’s in Carbon, PA, the only thing better is the service! Our menu is extensive and includes items such as subs, sandwiches, burgers, delicious 14 oz steaks, and salmon, as well as a wide variety of appetizers from hot cheese balls and bruschetta to our delicious shrimp in a basket. A kids menu is also available. 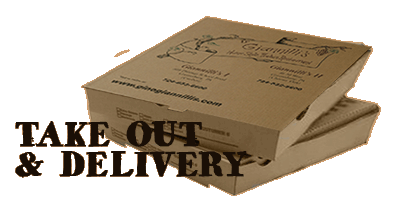 Stay to enjoy our comforting, family atmosphere, or take advantage of Giannilli’s take-out and pizza delivery service. Available with a tempting array of toppings and combinations, our pizza and sauce is the talk of the town and makes Giannilli’s the perfect stop for lunch or dinner. Our subs are made with fresh ingredients and served on toasted rolls, and Giannilli’s burgers are crafted from quality Angus beef. When it comes to local restaurant lore, our famous Nico’s Club sandwich is hard to beat. Daily specials add to the fun, and when you stop by for a relaxing evening meal, don’t forget to ask about the Giannilli’s Beer and Wine menu! Giannilli’s Restaurant & Lounge in Carbon is your destination for a satisfying meal and the start of a great evening on the town. Special Kids menu available. Call us at 724-853-6600 for your reservation. Located at 408 Thomas School Road in Greensburg, PA, we serve Carbon and all surrounding areas. 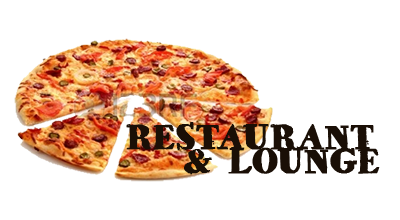 Visit our Catering and Events pages for more on how Giannilli’s can serve you best.